We are dedicated to keeping our K-9 Officers safe. 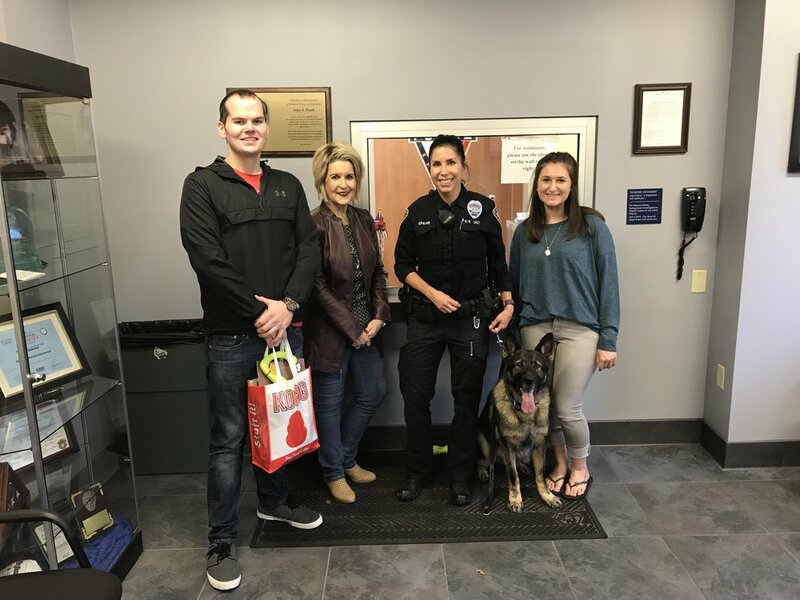 K9s of Valor is an all volunteer, 501c(3) nonprofit organization whose mission is to support police K9 officers across the country and keep them safe. With the support of the community and businesses, we donate life saving and essential equipment such as K9 trauma kits, Narcan overdose reversal kits and Hot-N-Pop vehicle heat alarms to help keep police dogs safe. K9 officers put their lives on the line every day to keep us safe, now it is our turn to thank them by providing them with the proper equipment they deserve. Join our mission, donate and become a sponsor and help protect our K-9 officers. We have several K-9 teams on our waiting list for equipment and supplies. Click the “Become A Sponsor Today" button below to find out more information on how to help. Be sure to LIKE us on Facebook to stay up to date on K9 news, events and K9s in need of help on our waiting list. Find out about why we exist, our mission, and the K-9 teams we have helped across the country. Ready to play a vital part to keep a police K-9 safe? You can learn more about how to support our cause or sponsor a K-9 today.